Dr. Sran was born and raised in India. He obtained his D.V.M degree form Pant Nagar University of Agriculture and Technology, in India, in 1973. He worked as a government employee for for 2 years, and in November 1975 he immigrated to the United States. Dr. Sran completed his advanced studies at UC Davis, and passed his required credentials to practice veterinary medicine in the United States. He worked with several colleagues over 5 years at a multi-doctor practice in Los Angeles . 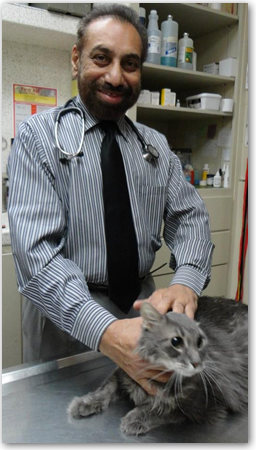 Then in 1985, he moved to Fresno and bought Alta Animal Hospital and has been running a very successful practice ever since. Dr. Sran is hard working, compassionate and very motivated to provide the best care and medical treatment available for the welfare of your companion animals and exotic pets. He is a member of the American Veterinary Medical Association and the Central California Veterinary Medical Association.